Chef Cleveland Shearls, owner of the personal chef business, The Lost Spoon. NASHVILLE, TN — For Chef Cleveland Shearls, cooking unites his two passions in life, people and food. Shearls followed this passion to the Art Institutes Culinary Arts School in Nashville and upon entering the job field, he quickly advanced to sous chef at Café Fontanella and helped launch Nashville’s City Winery location. “I worked hard, even through adversity and crew members who didn’t think that I was really able to do the job. It was so hard to where it almost made me re-think what I was doing. But the love kept me in,” he explained. 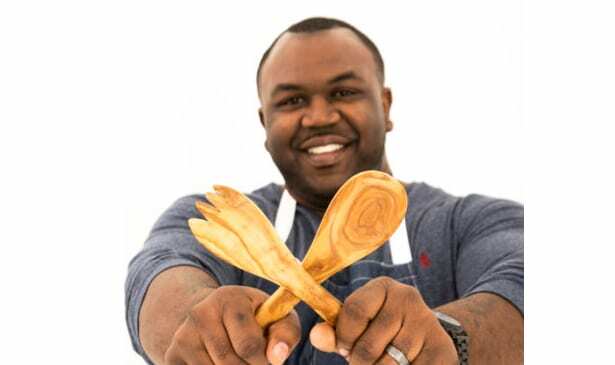 Shearls was leading a nearly 20-person team at Café Fontanella when he decided to start his own personal chef business in 2014, The Lost Spoon, offering personal in-home chef services and online meal preparation in addition to catering private events. He’s worked with a range of clients including Senior Pastor at Mt. Zion Baptist Church Bishop Joseph W. Walker, III and former Tennessee Titans players Chris Hope and Brandon Harris.